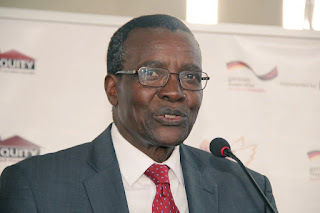 Tuesday August 21, 2018 - Chief Justice David Maraga has finally admitted that many Judges and Magistrates in Kenya are corrupt and greedy. Speaking on Monday during the opening of the 2018 Judiciary Annual Judges’ colloquium, Maraga said many judicial officers have ignored the Automated Revenue Collection System and are currently collecting fines manually so that they can steal the money. “Instead of using M-Pesa to collect revenue, they ask convicts to pay cash,” Maraga added. The CJ said the Judiciary is committed to ensuring all anti-corruption and economic crime cases are dealt with expeditiously. “This is the only way we can maintain confidence in the people we serve,” Maraga said. Maraga spoke hours after a Kibera Magistrate Court was court red handed diverting court fines into his own pocket. Maraga is yet to sack Magistrate Dennis Kuto despite glaring evidence of stealing public money.